ESPN FC’s Alejandro Moreno explains why he believes Neymar may come to regret not maximizing his talent for both club and country. 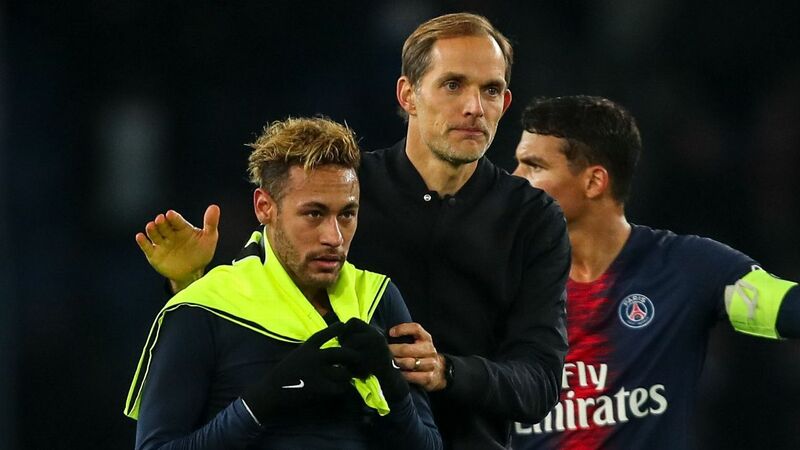 Julien Laurens predicts how Thomas Tuchel will set up his starting XI against Manchester United, with star-player Neymar sidelined for 10 weeks. PSG are not in crisis in the pure sense of the word. They are top of Ligue 1 and have just lost once all season in the competition. Moreover, they are favourites in their Champions League round-of-16 tie against Manchester United. But things are far from great, and there is turbulence at every level — on the pitch, in the dressing room. January was a rotten month. The midseason transfer window was seen as vital. Manager Thomas Tuchel had repeated many times that he needed to sign at least two midfielders; with Marco Verratti injured, Adrien Rabiot‘s contract impasse and Lassana Diarra‘s departure, it was important to strengthen. Luciano Acosta, D.C. United’s creative midfielder, was Henrique’s idea. In Matias Sabbag, Acosta and Paredes have the same agent and Henrique thought the MLS star would be a good deputy for Neymar, but the deal fell though. The approach to Bayern Munich for Renato Sanches was also an idea of the sporting director. On top of all that, Henrique failed to complete a deal to recruit Frenkie de Jong, who instead joined Barcelona. Financially, the Catalans’ offer was bigger and better than that of Paris but, according to sources, the feeling at the top of the French club is that they could and should have signed the Ajax prodigy. The upshot is that the Henrique-Tuchel relationship has become non-existent. “I have my opinions, he has his,” Tuchel said last week, diplomatically. To be successful, a club needs a strong chairman-sporting director-manager axis, but PSG have not had that since Leonardo left in 2015 and it is difficult to envisage Henrique being at the club next season. Neymar’s injury and Thomas Tuchel’s unsatisfactory transfer window are two big problems for PSG. Tuchel needs a Plan B and that looks to be a 4-4-2 formation with Mbappe and Edinson Cavani up front, but the team is so used to playing with — and relying on — Neymar that finding another way to play is a struggle. Against Lyon, the French champions lacked creativity without their talisman, as well as the absent Marco Verratti, who has returned to training this week. The weekend loss was PSG’s second in six games in all competitions, following defeat at home to Guingamp in the Coupe de la Ligue quarterfinal. Before January, there had been only one defeat in 26 games this season: The 3-2 reverse at Liverpool in the Champions League. On top of the disappointing window and Neymar’s absence, there is the question of what to do with Rabiot, who has been frozen out by club hierarchy because he is refusing to sign a new deal. Tuchel has begrudgingly accepted the decision, but he needs Rabiot and wants him back in the squad; if the 23-year-old was reintegrated in the squad, it would be a victory for the manager, but the possibility of that is slim. Meanwhile, Man United’s incredible revival under Ole Gunnar Solskjaer has made what at the time looked like a favourable draw for PSG more difficult. The Premier League side have confidence and momentum. Paul Pogba is arguably the best player in the Premier League and, defensively, they bend but do not break. January 2019 will be remembered as a month in which PSG lost a lot and gained little, leading to a mood inside the club that is quite low. What will February bring? Tuchel and the players must find a remedy to cure last month’s ills.